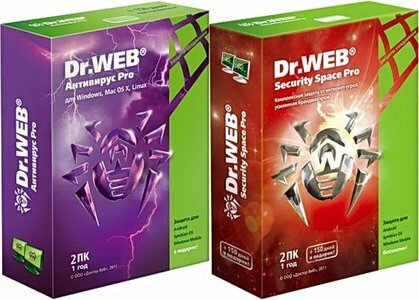 Dr.Web for Windows provides reliable and highly efficient protection of your system and data regardless what type of the Microsoft operating system is installed on your computer. The Dr.Web® for Windows components allow in a real time mode to detect malicious programs from any external sources. - Remote administration from other computers in the local network without installing the Dr.Web Control Center.